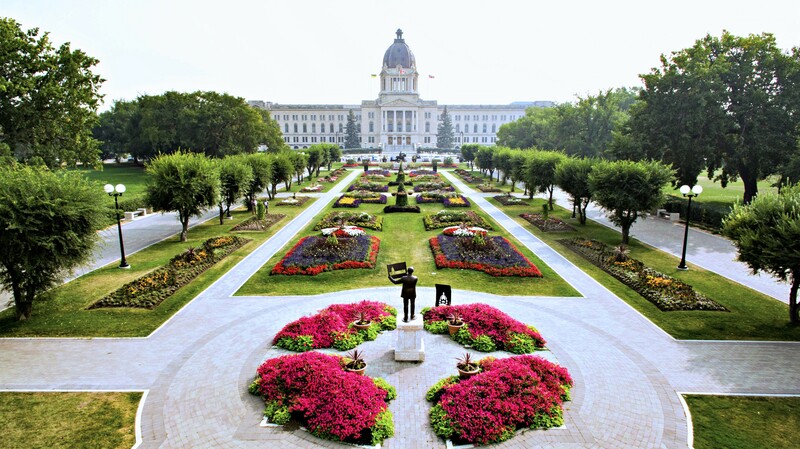 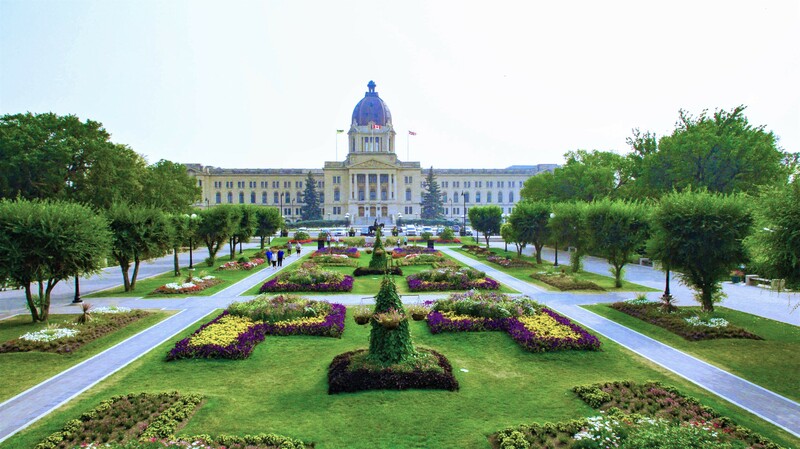 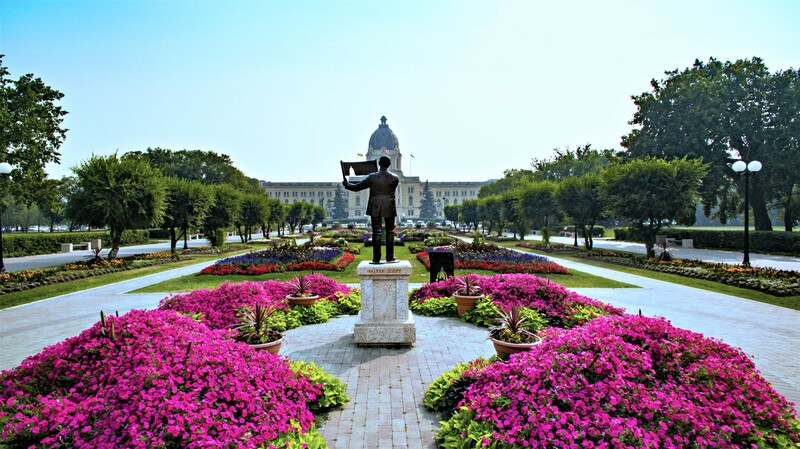 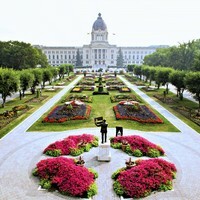 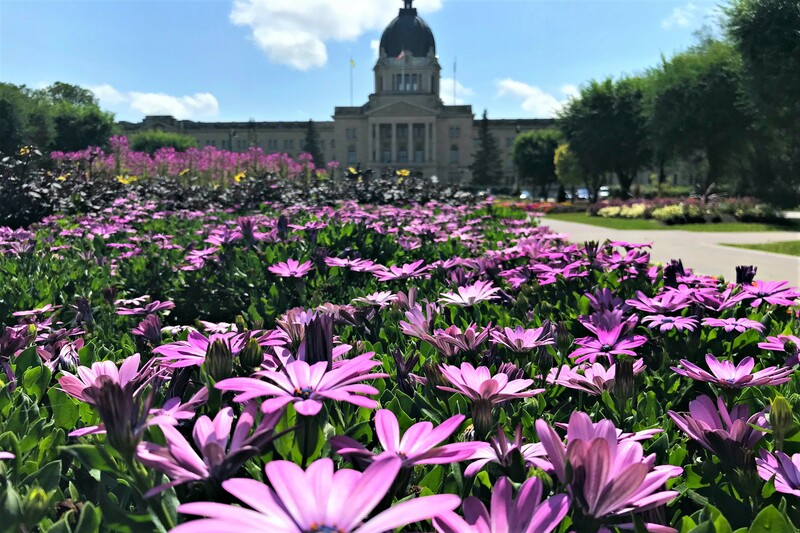 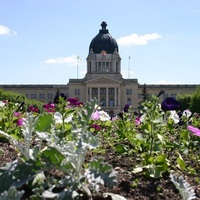 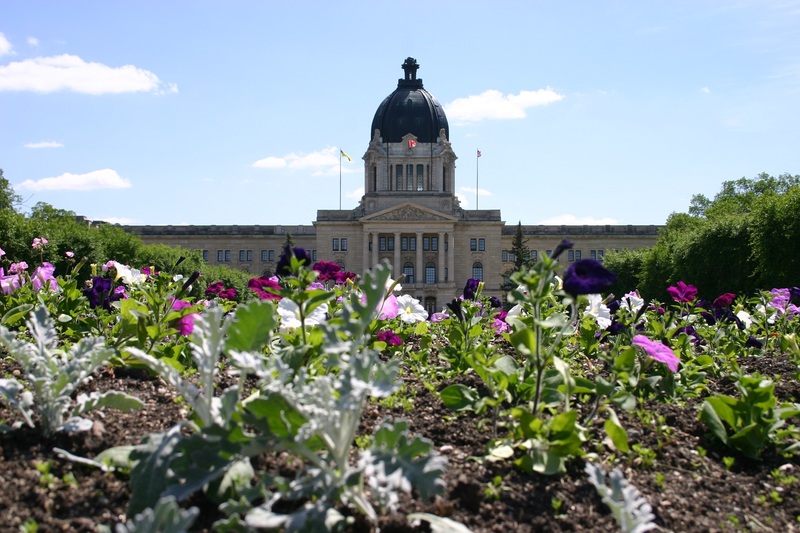 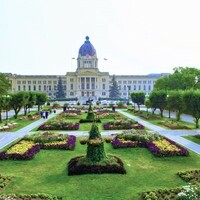 The Queen Elizabeth II Gardens highlight an impressive view of the Saskatchewan Legislative Building. 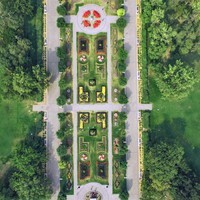 Designed initially by landscape architect Fredrick Todd and architects Edward and W.S. 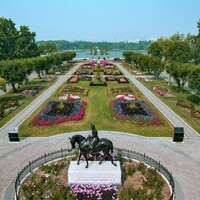 Maxwell, and later altered by Thomas Mawson, the Legislative grounds include paths, gardens, recreational spaces and walkways. 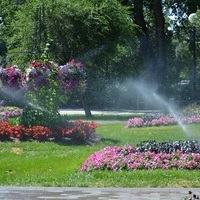 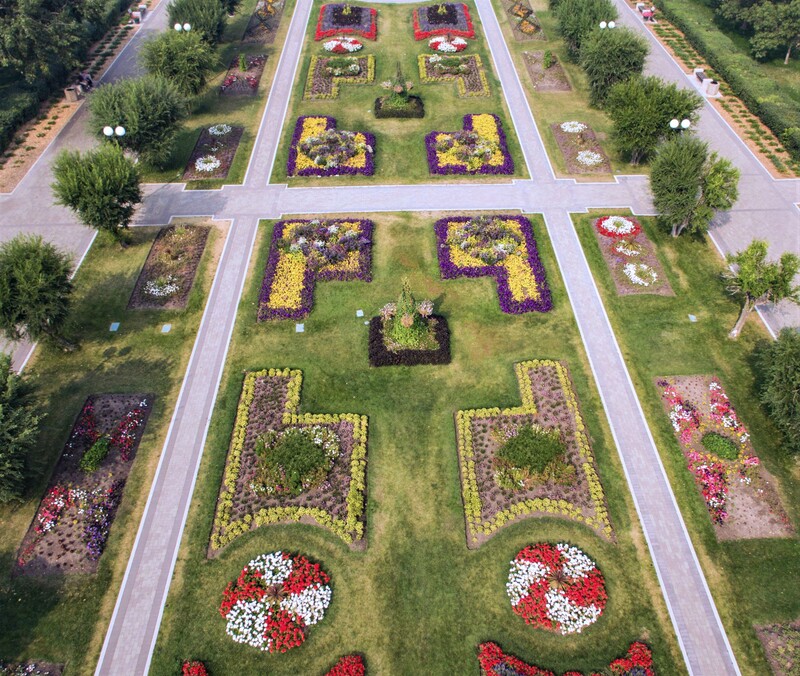 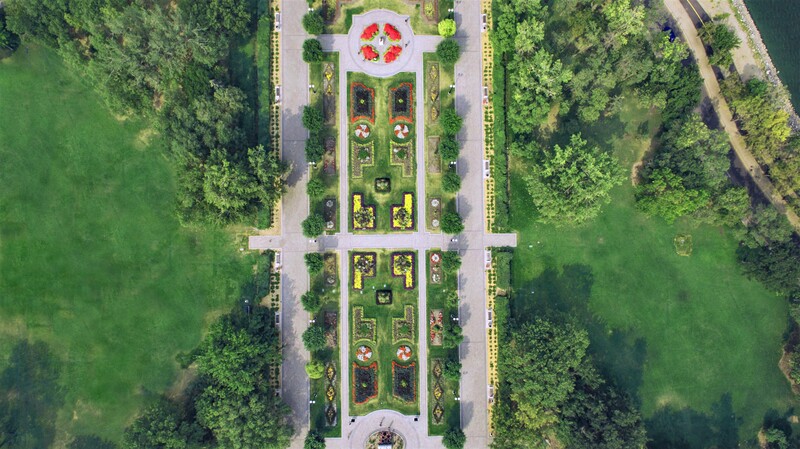 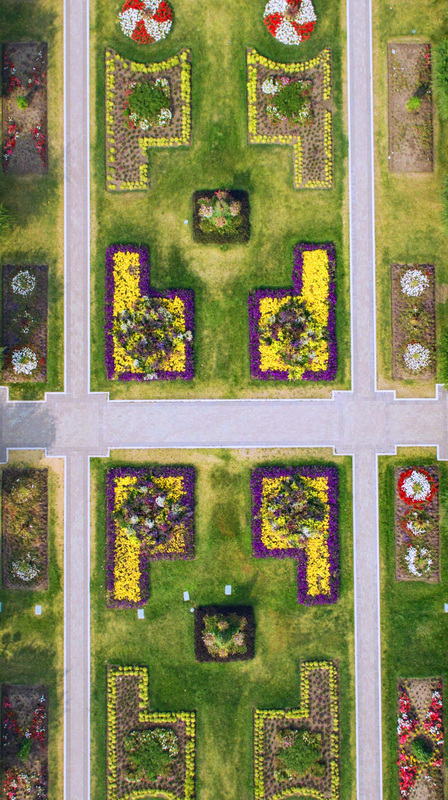 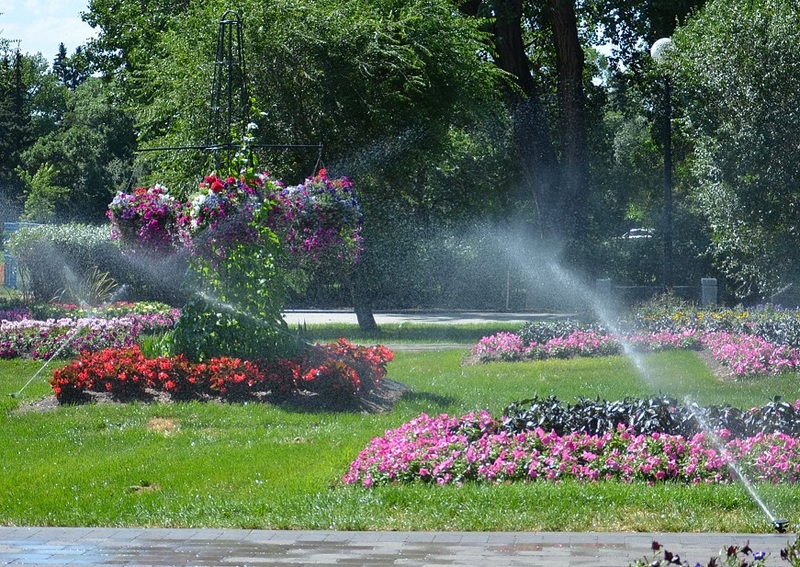 They are recognized as one of the best examples in Canada of a landscape developed according to a city beautiful-based master plan and departed from the standard grid plan, resulting in an emphasis on symmetrical designs, treed areas and civic grandeur. 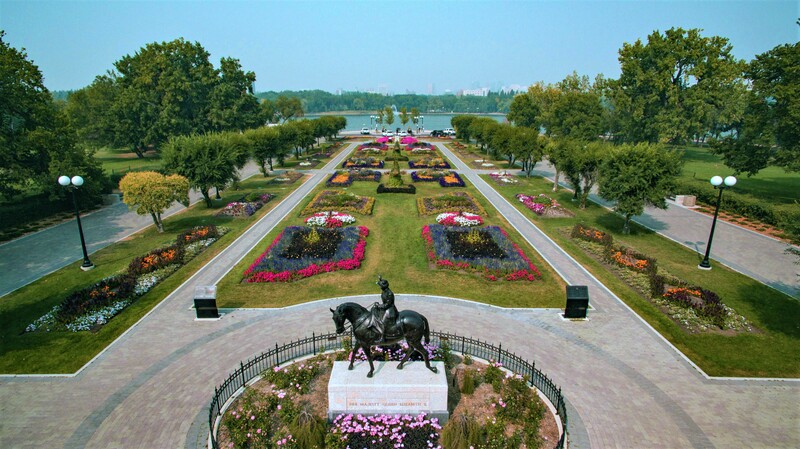 In 2005 the gardens were officially named the Queen Elizabeth II Gardens, and dedicated by the Queen herself on May 18th, of that year. 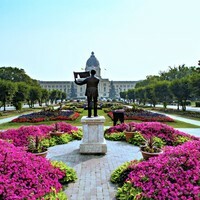 To celebrate the 100th anniversary of the Legislative Building and the 50th anniversary of Wascana Centre Authority in 2012, the gardens underwent a $1.3 Million upgrade which included new lighting, fully accessible paved pathways to highlight the floral beds, new Tyndall Stone benches, interpretive signage, improved irrigation and renewed perimeter landscaping.